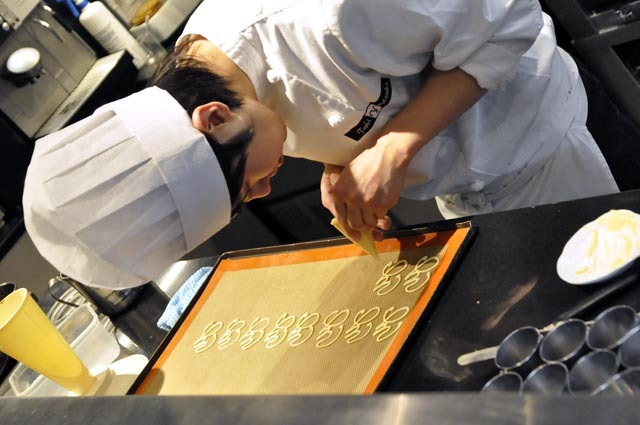 It is uncommon to come across a patisserie where the pastry chefs prepare your dish in front of you, just like at a sushi counter. 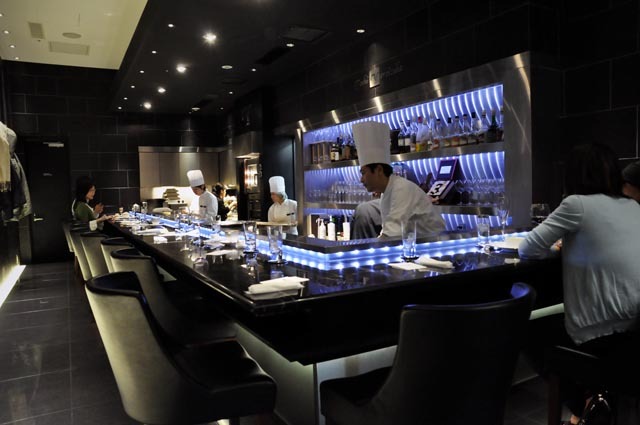 Besides producing excellent desserts, this is what makes Toshi's Yoroizuka such an attractive experience. Unfortunately getting a seat is not the easiest thing. You must go to the shop and pre-reserve at around 3pm, to then go back and have your dessert at around 5pm. If you will be visiting Tokyo, you might want to plan visiting Roppongi Hills or something nearby during the duration of your wait. Watching the Chefs preparing your dessert step-by-step is certainly entertaining, but it is even more entertaining hearing Japanese ladies woowing and waawing at the show! My favourite dessert was the Gorgonzola one. I checked on their website, and they seem to have other versions listed in their selection, the one I had is missing. 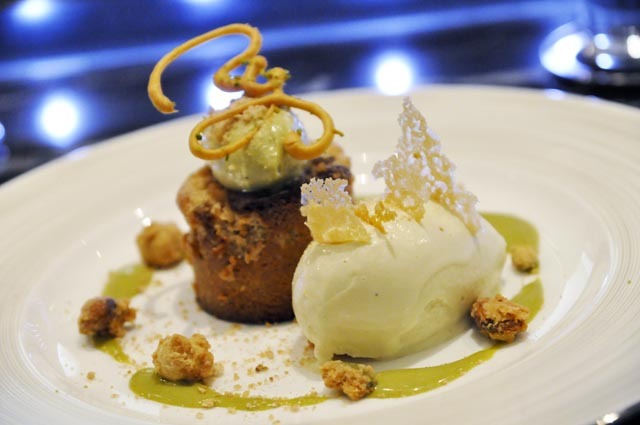 The subtle Gorgonzola flavour emerges throughout this dessert quite gently, but enough to be noticed. I liked it so much that I was tempted to have a second one. In the end, for the sake of trying their selection, I decided to order something different instead. 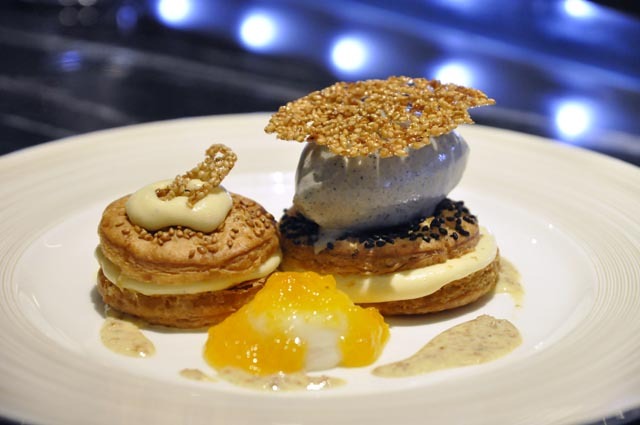 I wasn't crazy for this goma dessert, primarily because the flaky pastry style is not my cup of tea. 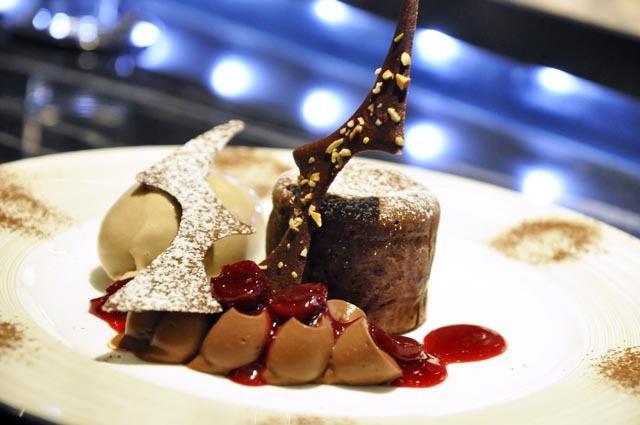 I much preferred both the chocolate and the Gorgonzola souffle'. Taking a look at their website is quite mouthwatering. Bear in mind that not all the desserts illustrated will be available on the day of your visit. They only put 5-6 desserts on the menu of the day for you to choose from. 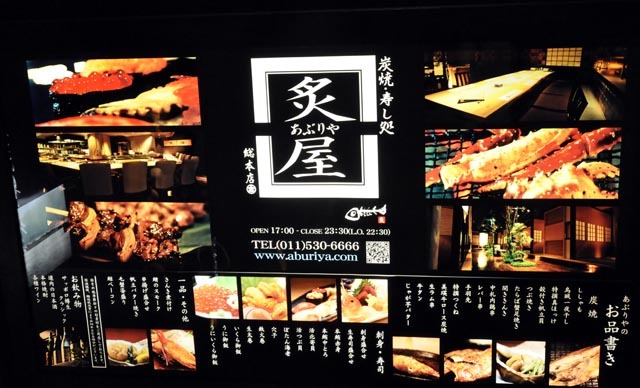 If you will be visiting Tokyo and you will have time and dedication to try this place, I am sure you won't regret the hassle. 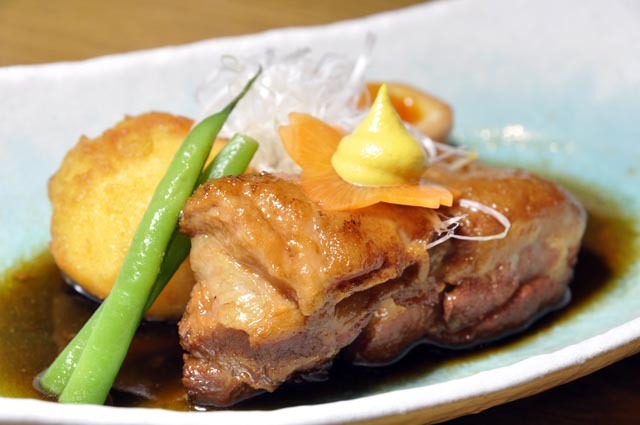 Located in Susukino, this izakaya differentiates itself from the rest. One of three branches, all located in Sapporo, specialises in crab (which was very good, I tried it grilled), although every dish I had was superb. The fluorescent sign outside the entrance displays a rather interesting menu, and that's what inspired me to instinctively try this place. 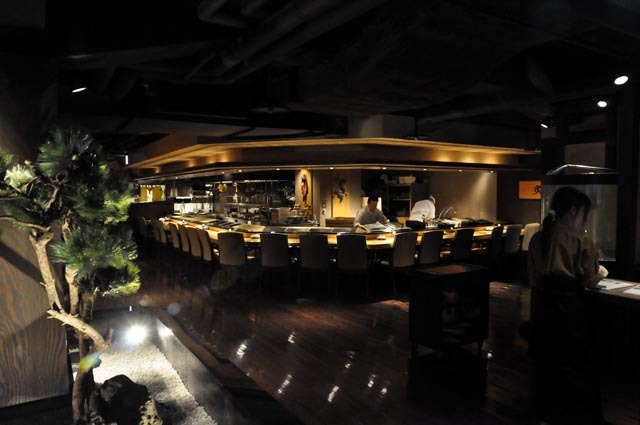 A steep ramp of stairs leads you to the basement, where a spa-like entrance opens up into a large and spacious sushi counter. 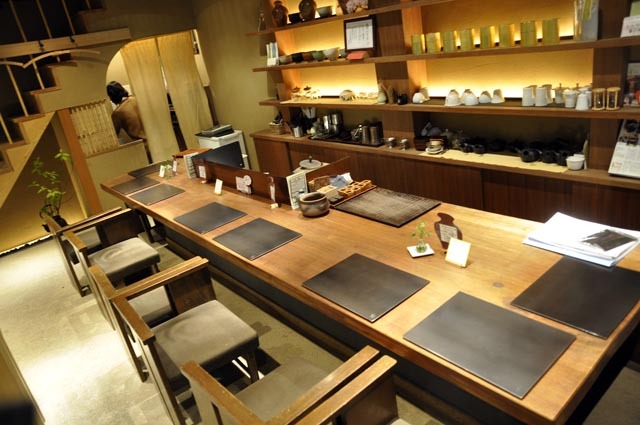 All around the counter, a series of corridors lead to private rooms where you can sit in good company, savor extremely good local sakes and taste their delicacies. Not having enough of it in Hakodate, I immediately went for the uni. In this place, they have the option of serving the uni "in sea water". I never tried this before, and since I already had this delicacy in various forms in Hakodate, I didn't hesitate pointing to this. 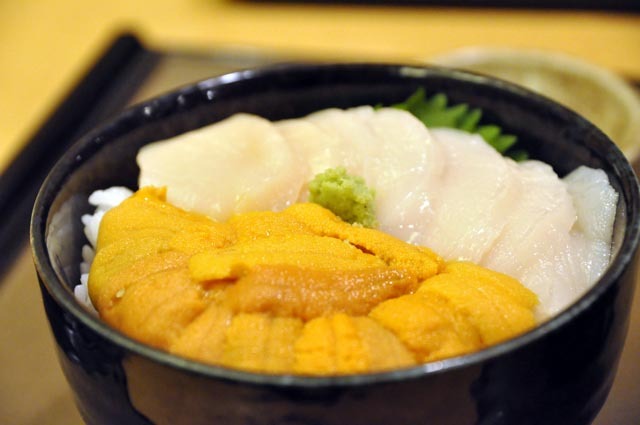 It was actually the freshest tasting, most "live feeling" uni I ever tasted. 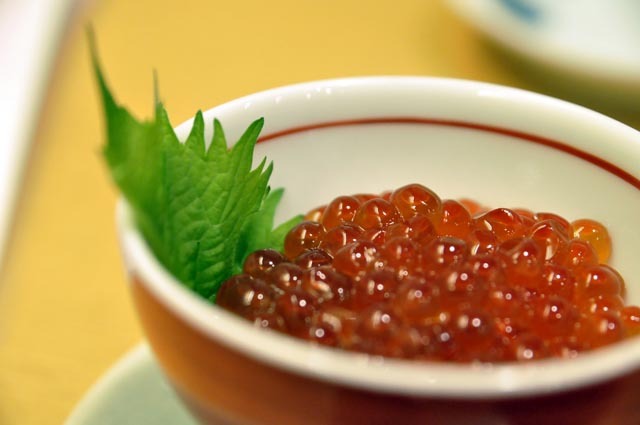 The sea water perfectly maintains the natural moisture of the roe as if you were eating it straight out of its shell! Apologies for the poor picture due to the low lighting conditions. It might not look like the best buta kakuni you have seen, but it tastes the best. 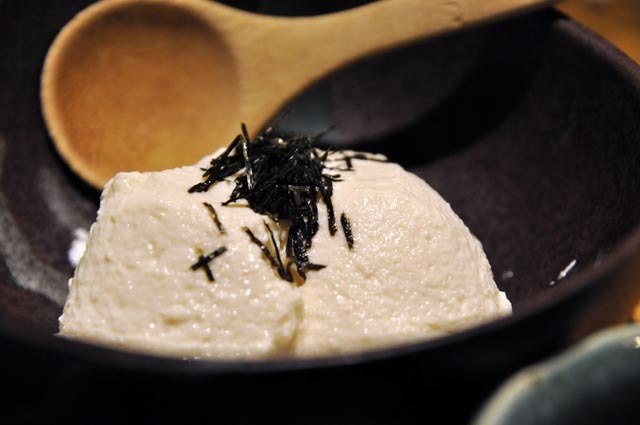 The gomadofu was also very good, made locally, with a creamy and firm texture. 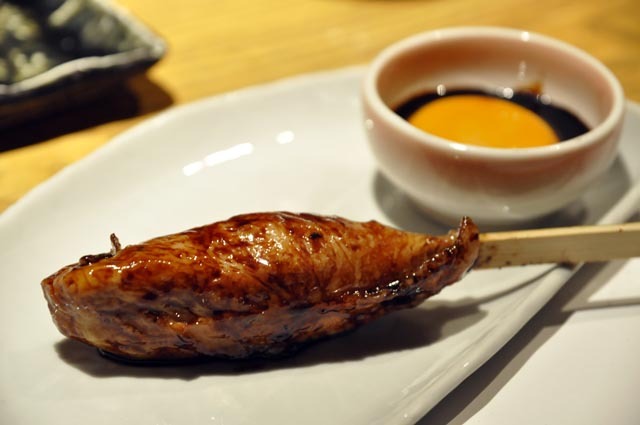 The tsukune yakitori (minced chicken) caught me by surprise. I had this sort of skewer many times before, but this one was in a totally different league. The flavour was delicate, and its texture was so light that it dissolved in my mouth. And the best for last... smoked mackerel with smoked grilled cheese. Superb! The grilled+aburi pork belly. I loved how the charred taste gradually released its aroma into the soup. I was overall very happy with this ramen. It started quite gentle and became more and more robust as the charred pork and spicy vegetables released their aroma into the soup. Worth a try if you are looking for a ramen out of the ordinary! 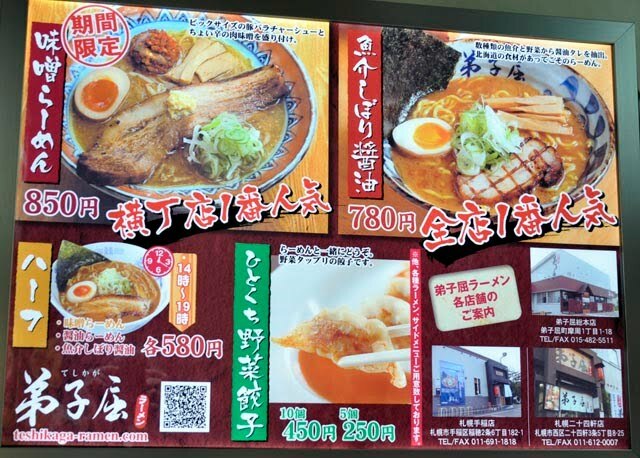 If you are unsure how to locate the "Ramen Alley" just ask at the tourist information centre at Sapporo JR, and they will provide you complete information with a map in English. 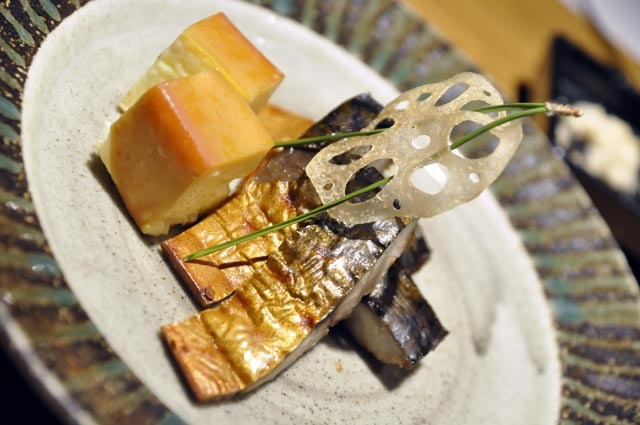 What would a foodie want to do on his arrival to Hakodate, right after having dropped his luggage at the hotel? The first thought on his mind would be "uni, hotate, kani". Having arrived fairly late in the evening, welcomed by heavy snow falling on this deserted and quiet Japanese town, I almost lost my hopes that I would manage to find a gourmet venue... walking and shivering along the dark and peaceful streets next to the JR station, where the fish market opens in the mornings, I spotted a light at the end of the tunnel... an open restaurant, with a traditional looking wooden door, and the beautiful うに (uni) hiragana writing right in front. That was Hokkaido blessing my arrival! I was slightly disappointed with the scallops... they were firm, lean and chewy rather than creamy. I later tried Hokkaido scallops at a few other places and they were consistently the same. i basically discovered I don't like Hokkaido scallops. They are different indeed, but not the way I like scallops to be. I prefer them fatty and creamy. The Ikura marinated in soy sauce was also incredibly fresh, These little poppers exploded one by one in my mouth releasing tons of flavour! The braised uni was totally new to me. I believe it's one of the specialties of this restaurant. If you had this dish without knowing that it's uni, you wouldn't have guessed what it's made from. 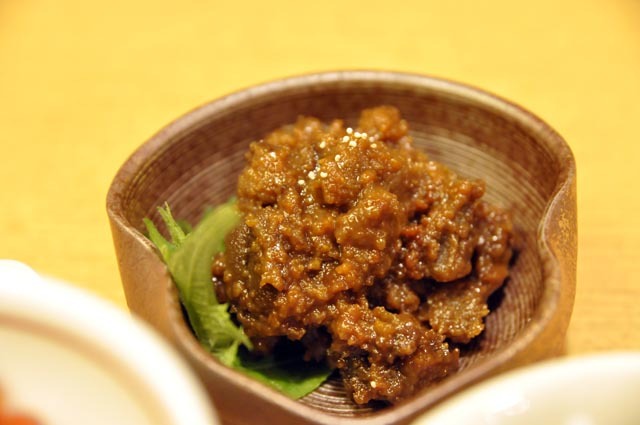 Yet, it does taste like uni, except the texture is totally transformed. Worth trying. 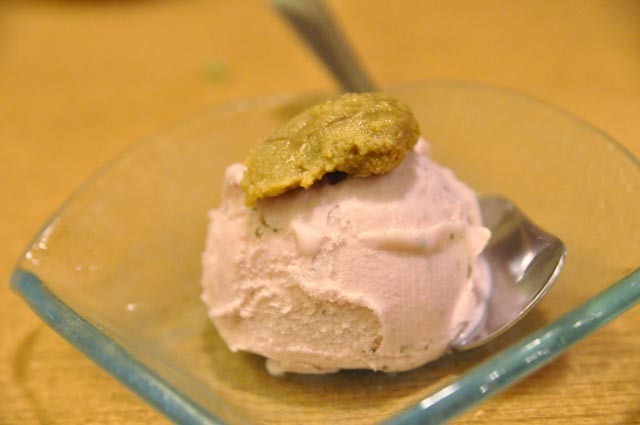 And finally... something you definitely won't be able to find elsewhere: Uni ice cream! 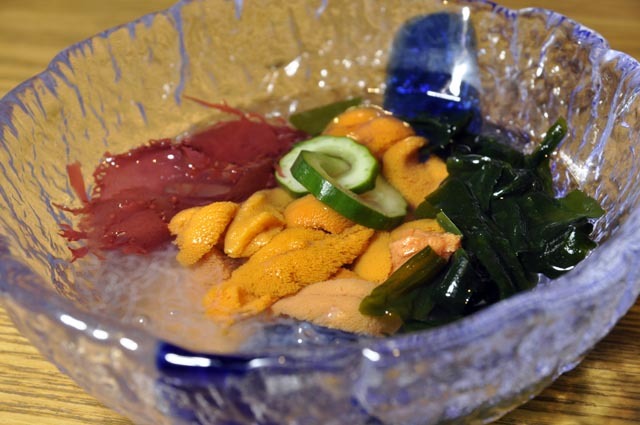 It is actually sakura (cherry blossom) ice cream, topped with uni. I am aware that the culinary value of this unusual combination might be debatable, but I had this with an open mind, and the sweet creaminess of the uni did go well with the ice cream. 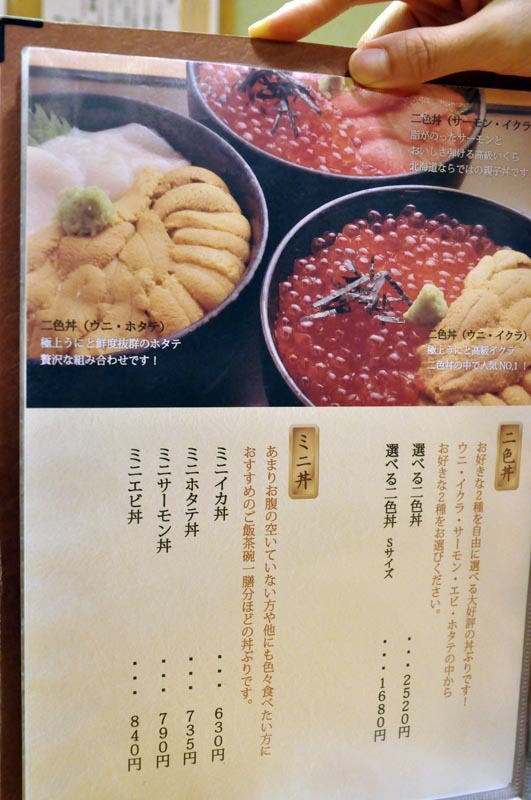 I included a photo of one of the pages on the menu, just to give you an idea of what you are missing... if you happen to be in Hakodate, you must try this place. It's a 5 minutes walk from the JR station (just walk all the way up the narrow fish market street), so you should consider it even if you are travelling to Sapporo by train and having no plan to stay in Hakodate. If you happen to be in Osaka, strolling along the arcade of Minami, with a sudden crave for Matcha and wagashi, this is the place for you. A matcha shop that sells everything you need to make it, but also has a tea counter at the back where you can savour this delicacy within a peaceful setting. The interior is sleek and comfortable and the service silent and efficient, as you would expect. 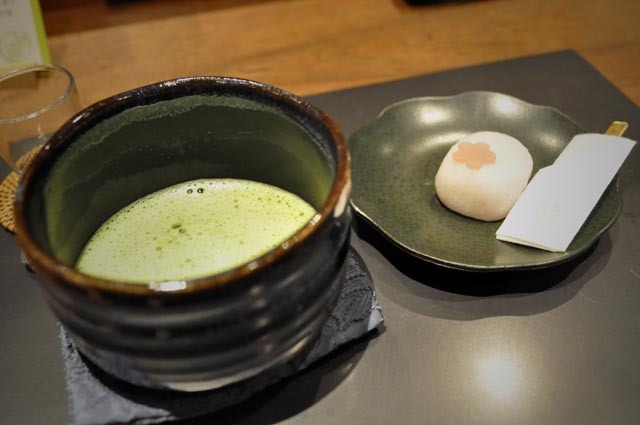 Both Matcha and wagashi were up to standard, just like in the nearby Kyoto. 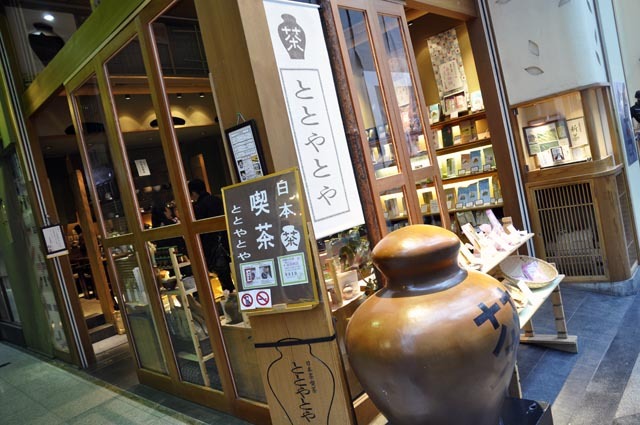 The shop is accessible from the arcade that connects Shinsaibashi to Dotombori. Walking towards Dotombori, the shop is located on your left. Take a look at the picture, and recognizing the outside of this shop shouldn't be too hard. For the first time in 2 years, I will be writing the review of a restaurant of which I don't know the name. Despite my knowledge of Hiragana, I am unable to decode the name of this place. Japanese natives, your input is welcome! 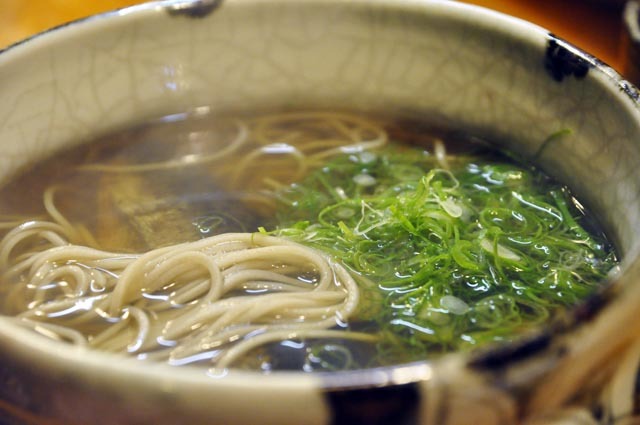 I stumbled into this place which serves a dish that is typical of Kyoto: Nishin Soba. 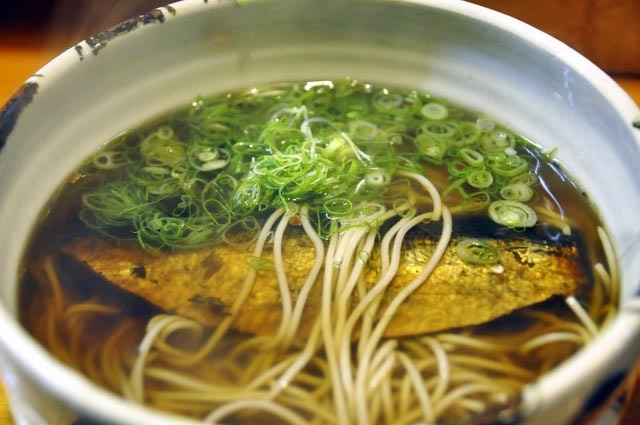 The dish consists in soba noodles in broth, topped with a smoked herring and a generous amount of spring onion. It is highly recommended that you try this dish which you won't be able to find abroad, and certainly not as good as they make it here. I have been craving for it ever since I was blessed by its flavour! The service in this shop is not the friendliest, unlike most of Japan. Said that, I will be willing to undergo poor treatment anytime just to have another bowl of these! 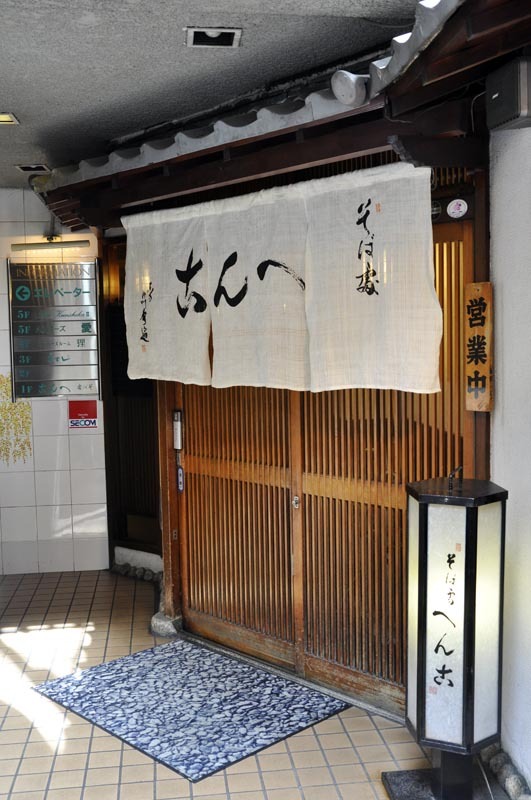 The restaurant is located off the road that goes from Gion-Shijo to the Yasaka shrine. I included a link to the exact location on Google Maps. During my vacation in Japan, one of the objectives I had was to try some local Ramen at every city I visited. 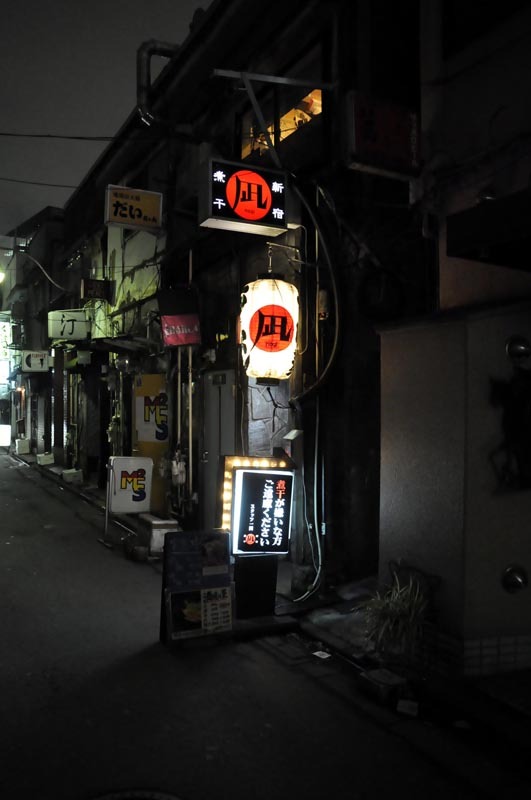 I was given a wonderful recommendation to try this little Ramen shop tucked away into a remote and abandoned street in the middle of Kabukicho, called Golden Gai. The foodie's destiny decided that my hotel, "Best Western Astina", was actually a 1 minute walk from the recommendation, which left me quite surprised when I decided to try to locate this place. I won't go too much into detail on the history of this shop, since a fellow blogger has already done an excellent job. You can read his review here. 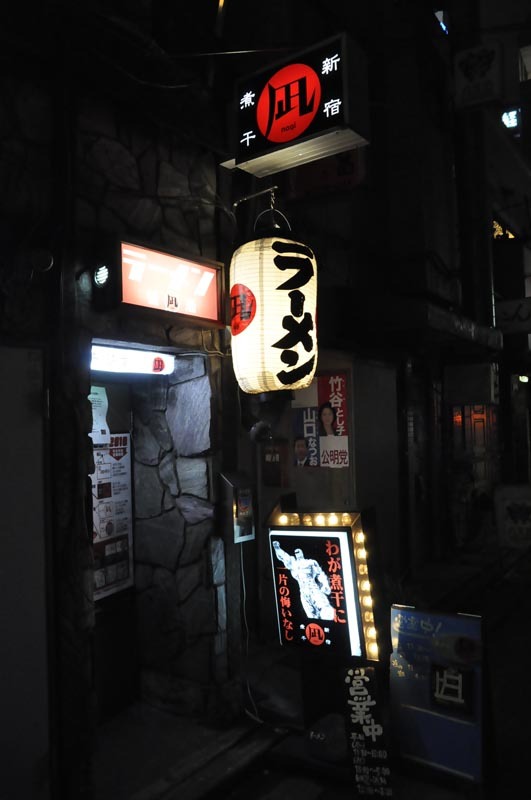 Nothing beats the feeling of finding this place and walking up the incredibly narrow stairs that lead to the cozy atmosphere of this ramen shop. As you reach the top of the stairs, you will be facing the vending machine from which you can buy the ticket corresponding to the ramen you want. I had the char siew ramen, which costs 1000 JPY. The staff is incredibly friendly and, although they can't speak English, they did their best to help me order and even made an effort to chit chat. 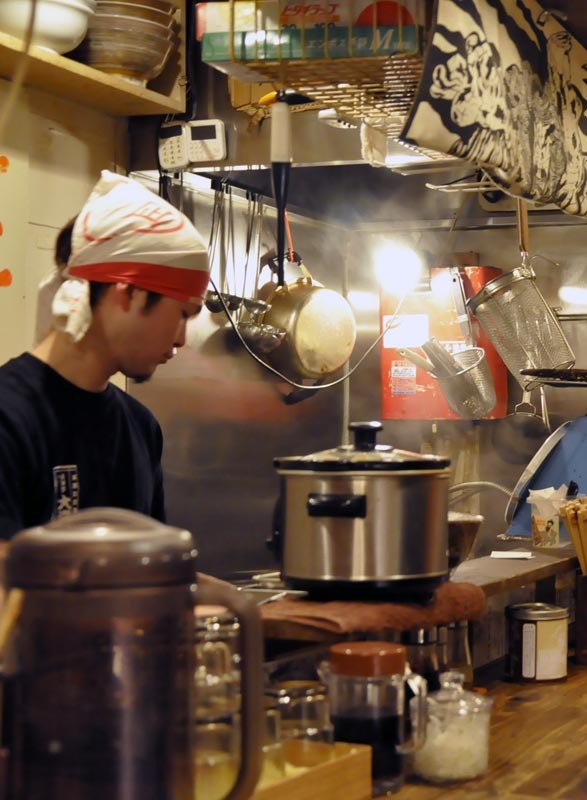 I am always amazed by how these ramen chefs can produce such delicacies constrained by such small space. This shop is smaller than others, and watching the Chef handle all his utensils with such confidence within a space of 100x50cm is entertaining on its own. A lot could be said about this ramen. It is unique, for sure. The soup is chicken based, with dried sardines to give it a fishy, more robust flavor. I believe this will go particularly well with the south-eastern Asian palate, as it recalls some of the smells and flavors I encountered in Singapore. The other unique feature of this priceless bowl of ramen is the noodles: handmade, irregular, with a firm-bite. I love the rustic feel of these unevenly shaped thick noodles. Additionally, you will find another type of noodles in your bowl: a few sheets of hor-fun like strands, flat, thin and long. These add even more depth to this unique ramen eating experience! And finally, the char siew.... this the best I ever had. Lean, thick, pink slices of soft pork. 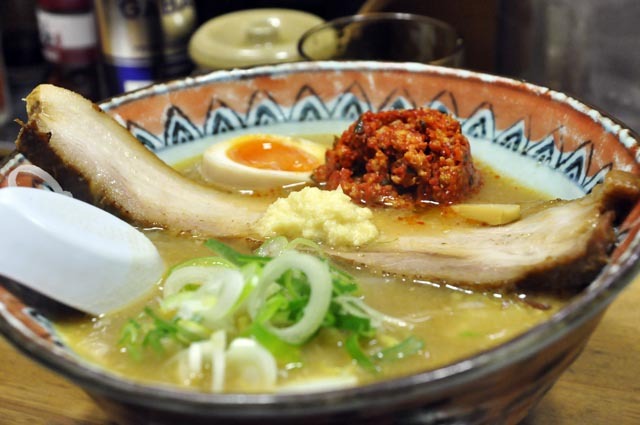 Unlike the typical fatty pork that is served with most ramen, this is more chunky and juicy, with a distinct flavor of its own. 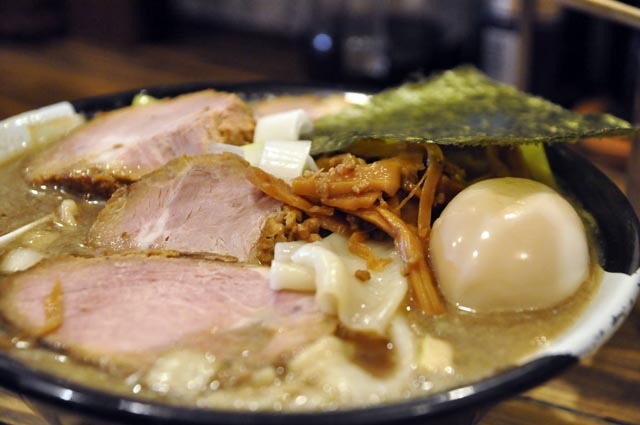 A bowl of nagi ramen is a concert of beautiful flavors and unique textures competing for your attention. It is an overwhelming, unmissable experience! Finally, this is a video I shot of while my ramen were being prepared and served.